1 ½ tbsp. Oyster Sauce. 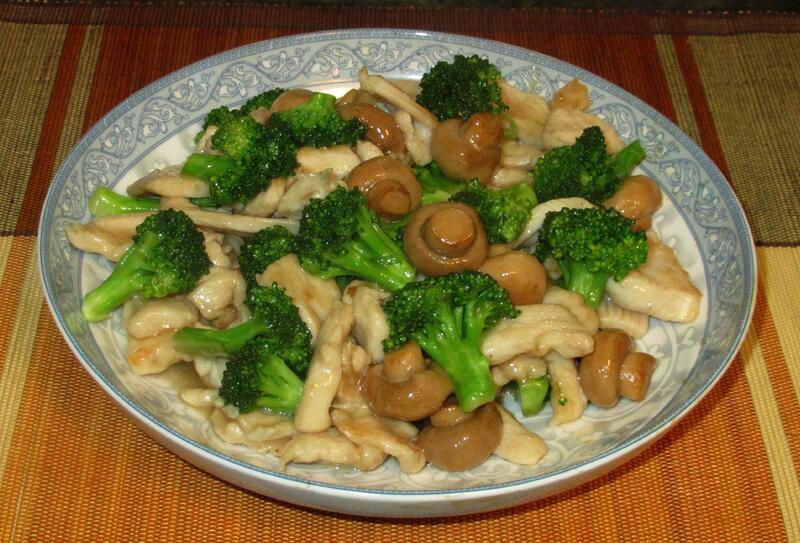 Mix the chicken slices in a bowl with the soy sauce and 1 tablespoon of the cornstarch then stir in 1 tablespoon of the vegetable oil to help the pieces easily separate during frying. Set aside for at least 20 minutes. 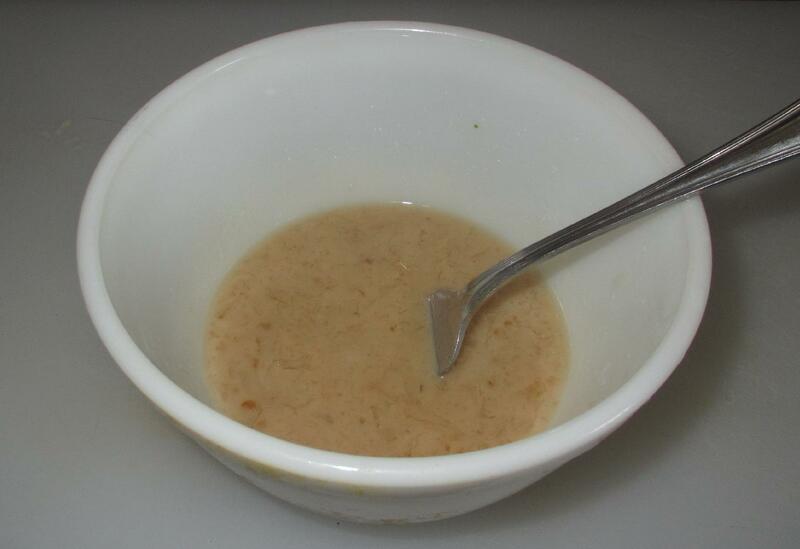 Mix the remaining cornstarch into a slurry with a little water and then add this to the chicken stock along with the Oyster sauce. Set this aside to use as the sauce mixture later. 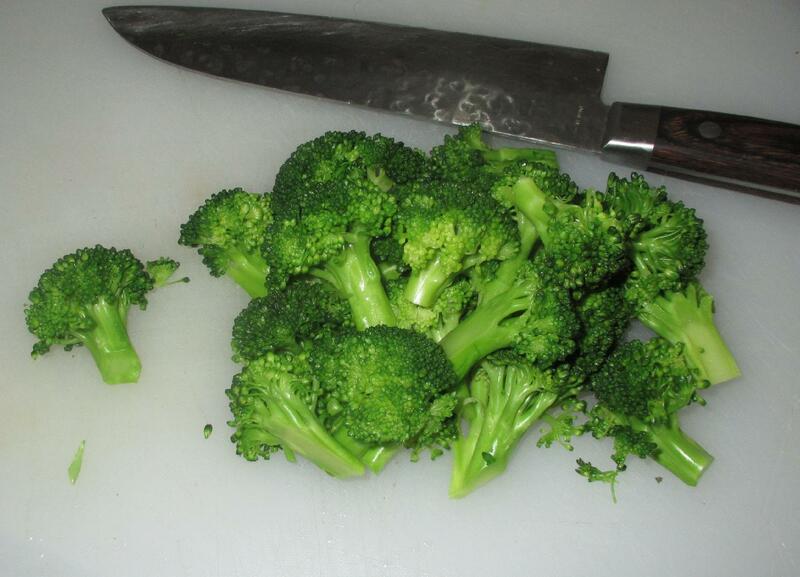 Quickly blanch the Broccoli florets in salted boiling water then plunge into cold water to arrest cooking. When the florets are cool, drain and trim them so that they are roughly the same size as the chicken slices. 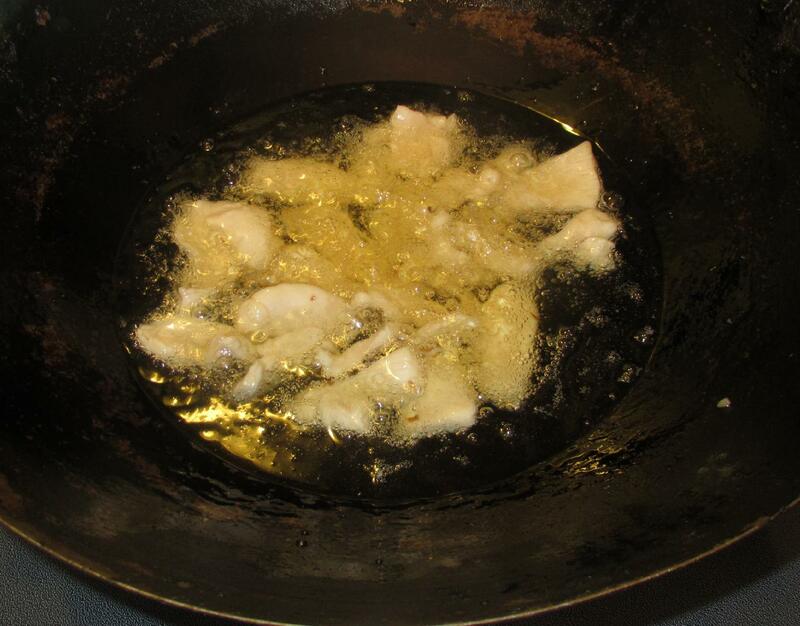 Heat 1 or 2 cups of oil in a wok over moderate heat and then deep-fry the chicken slices until they are just cooked and no pink remains. 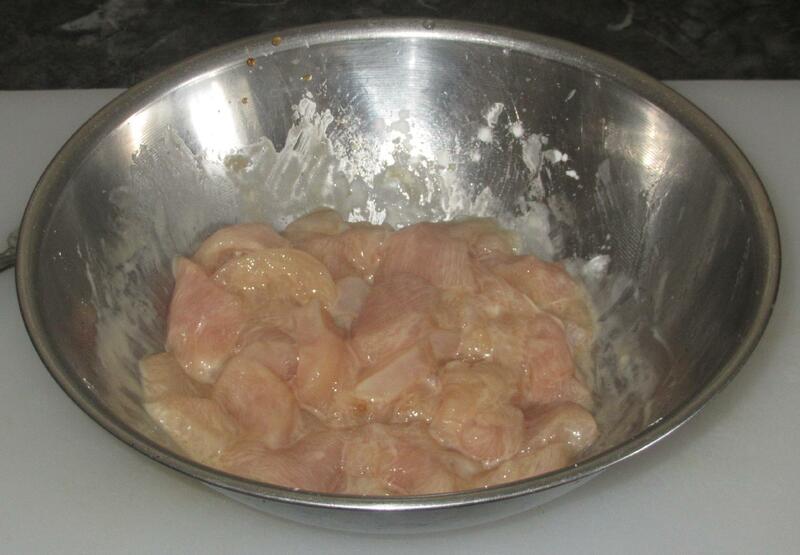 Remove them to a bowl for the moment and then drain the wok of all but a tablespoon or two of oil. 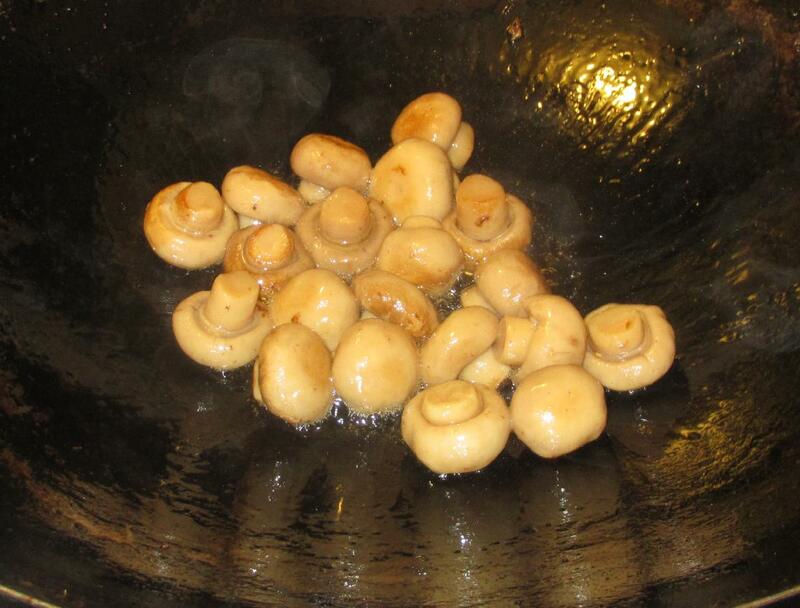 Turn up the heat under the wok and, when the oil is shimmering hot, sauté the mushrooms until the surfaces visibly darken in places. 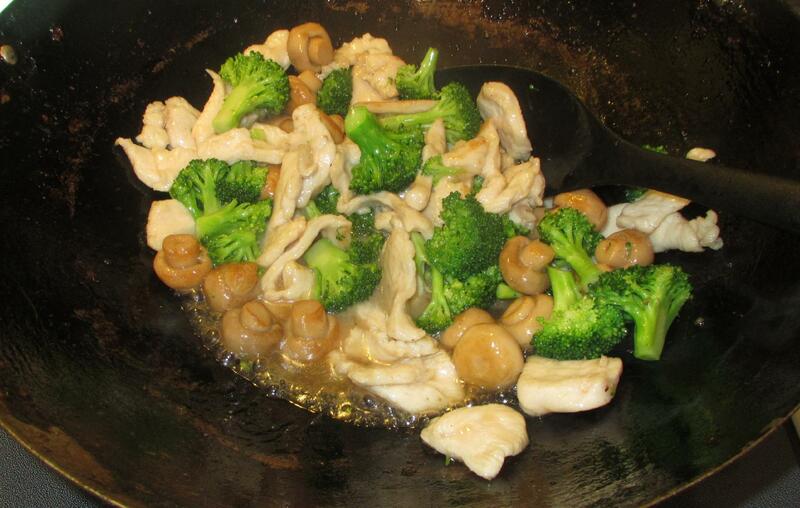 Return the chicken to the wok and add the broccoli. Sauté quickly until the broccoli is heated through and then stir in the sauce mix. Allow the sauce to thicken and clear and then serve immediately. Good ‘bulking’ indeed. The broccoli adds a nice touch. My wife and I made a very similar dish to this one last night. I am going to forward her this post and see if we can try out this recipe. Thanks for sharing.